A high opacity water-based primer for sealing tough stains on walls and trim. Suitable for interior or exterior use. 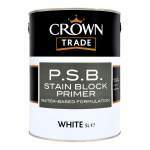 Crown Trade PSB Stain Block Primer is for interior and exterior use on walls and trim. Ideal for problem stains such as nicotine and smoke damage, it forms a strong barrier preventing blending. Can also be used to bind back prepared chalky surfaces prior to painting. It can be overcoated with water-based and solvent-based finishes. 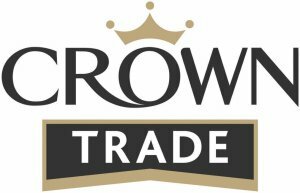 Crown Trade's P.S.B. Stain Block Primer is a water-based pigmented sealer for interior and exterior use. P.S.B. 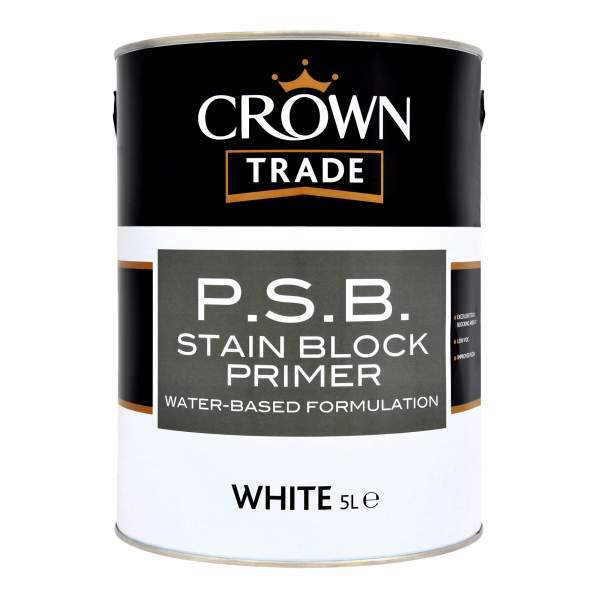 Stain Block Primer has excellent stain sealing properties and can be used on most surfaces subject to staining by nicotine, crayon, smoke damage, tannin, water stains, aerosol etc. Stains are held in the primer and will be obliterated by decorative topcoat. All surfaces must be dry, sound, clean and free from any dust or loose particles. Treat any organic growth with Crown Trade Fungicidal Solution. Surfaces previously coated with gloss or eggshell will require thorough abrasion prior to the application of P.S.B. Stain Block Primer. Remove as much stain as possible (particularly nicotine) by using a warm detergent solution or by sanding and scraping. Remove old loose, flaking or suspect paint by scraping back to a firm sound edge. On extremely chalky, powdery, charred or unstable surfaces a stabilising sealer should be used. Note: A test area is recommended over suspect surfaces. Avoid the inhalation of dust. Wear a suitable face mask if dry sanding. Stir well before use. Apply by brush, roller or spray. Stubborn stains may require an additional coat. On porous surfaces dilute with up to 10% clean water for the first coat. For application by brush or roller the product is ready for use. Apply the primer liberally. For Airless spray use tip size .015" - .017" @ 2000 — 2500 PSI thinning with clean water may be required. 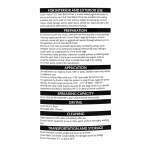 Do not apply when air or substrate temperatures are likely to fall below 8°C or in damp or humid conditions. Up to 12m² per litre dependent upon surface texture and porosity. Touch dry in 2 hours.